When it came to putting my 15-month-old daughter to bed, the struggle was real. She is very high energy and very strong willed. Bed time was an ongoing struggle and seemed to drag on for hours some nights. If I put her down she would scream in protest. What I didn’t realize; I was contributing to my daughter’s sleeping problems. Being a stay at home mom, I was afforded the time to rock her to sleep or cuddle her whenever I wanted. As her brain continues to develop and wants to become more independent, it requires me to reevaluate and prepare her for sleeping independently. Our pediatrician told us we had to be firm and consistent and stick to rules of her staying in her crib. Sometimes this is easier said than done. But feeling burnt out from the bedtime struggles and nobody getting a goodnights sleep, I knew we were all ready. I want to start out by saying the obvious, only you know your child. You know what is best and if something doesn’t feel right. Always make sure you talk to your pediatrician about any sleep issues, or other health concerns. It’s important to make sure health issues are not causing sleep issues. First off, I am not a sleep expert. 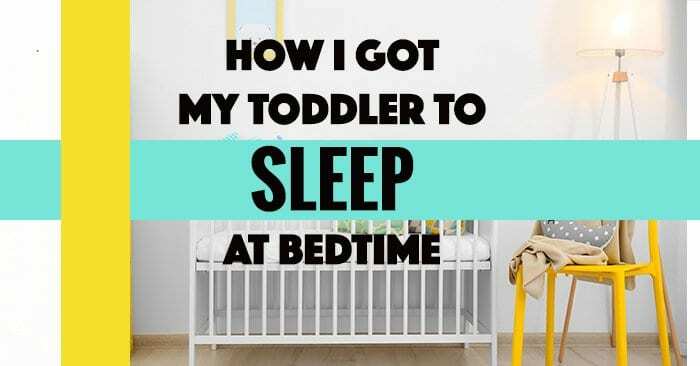 I am a mom who experienced firsthand a toddler that struggled with going to bed at night. When she would fall asleep, she would wake frequently. Everyone was exhausted. After rocking her to sleep and then putting her in her crib, she would wake up an hour later. I would have to try to get her to fall back asleep again. This would happen over and over. At first, I found she would sleep great by co-sleeping with us. Eventually, she started waking up frequently through the night. Nobody was getting sleep. Now, the ironic part about my daughter’s bedtime issues; she is an excellent napper and always has been. Every day she lays down for a two-hour nap. I place her in her crib, shut the door, and after a few minutes she falls right to sleep. First thing I had to do was set firm limits and stick to them. 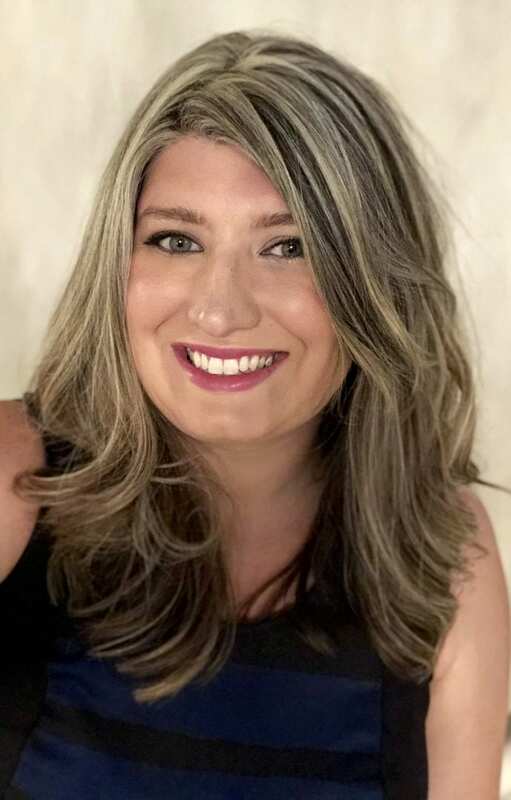 Paired with my pediatrician’s advice, I would reread Jessica’s article (Toddler Sleep Hell), to help me stick to my hard limit of soothing herself to sleep. This to me was the hardest part as a parent. When your child is upset, it’s instinctual to coddle and soothe. While this will always be necessary as our role as parents, it’s also necessary (at a certain age) your child can independently self soothe. My new goal became not just to get my daughter to go to sleep at night, but to self soothe. Quite time consists of turning the lights off and closing the curtains. We keep the room dark so she can relax and calm down. Quiet time is when we read books, sing songs, cuddle, or she talks/babbles. When we first started quiet time, it was about 45 minutes. This was necessary to get her relaxed and in sleep mode. Since the, we have cut quiet time down to about 15 minutes. Afterwards, she would get kisses, and then be placed her crib. For the first night, as expected she cried. I would go in there and check on her in 10 – 15 minute intervals so she knew she was not alone. This went on for about 2 hours. After two hours she was exhausted. I picked her up and she laid down with me in our bed. After about 15 minutes she was relaxed enough to be placed back in her crib (still awake) and then fell asleep without any crying. She slept for four hours straight. This was a miracle, because she was getting up usually within an hour of being put down. Create a Bedtime Routine: This helps prepare children mentally for bed. In addition to our bedtime routine, I would also read a book about bedtime. This helped her see that it’s something that all children do before bed. Do Quiet Time: Quiet time means we use our library voices. We read books and keep the lights off/low and the curtains closed. There is no technology. Quiet time is to help her relax and get settled before being placed in her crib to fall asleep. Note: I do not use quite time to get her to fall asleep. It’s simply to get her relaxed so she feels ready to lay down in her crib and go to bed. Get a Sound Machine: I used her air purifier on high (this one). It created enough a white noise to gently block any outside noises. This was huge for us. Libby’s bedtime, 7:00PM, is prime for outside activities, yard work, dogs barking, cleaning the house, etc. This helps drown out those small noises that cause her to wake-up. This sound machine is available on Amazon and has almost five stars. It’s pretty inexpensive as well. Be Consistent: Our Doctor told us, if we didn’t fix the problem, things were only going to get worse. (This came after we told him we had to drive her around to get her to fall sleep). I didn’t want to drive her around every time she needed to sleep(I would go crazy!). 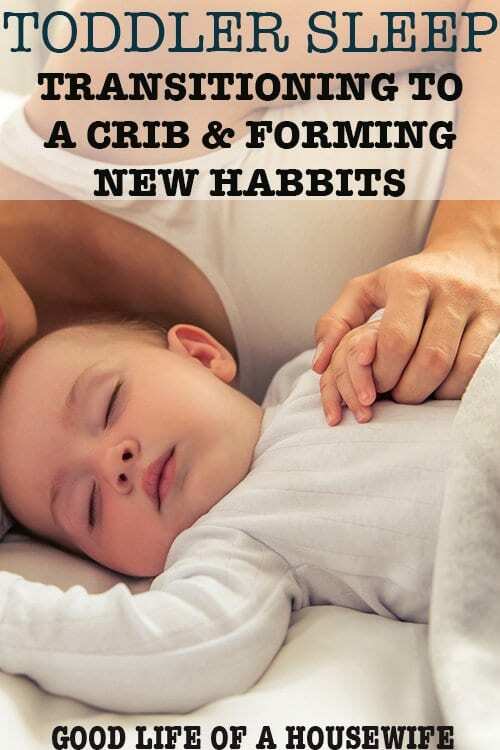 It therefore became my mission to commit to the consistency of a bedtime routine and proper sleep training(cry it out with check ins every 10-15 minutes). I was not allowing her to establish her independence and come up with her own comfortable sleep routine. By rocking her and catering to her demands, she was unable to find her own way to self soothe. When she would sleep with us, she would toss and turn and roll across the bed, unable to get comfortable. She would wake me up in the middle of the night to help her fall back asleep. Nobody was getting any sleep. 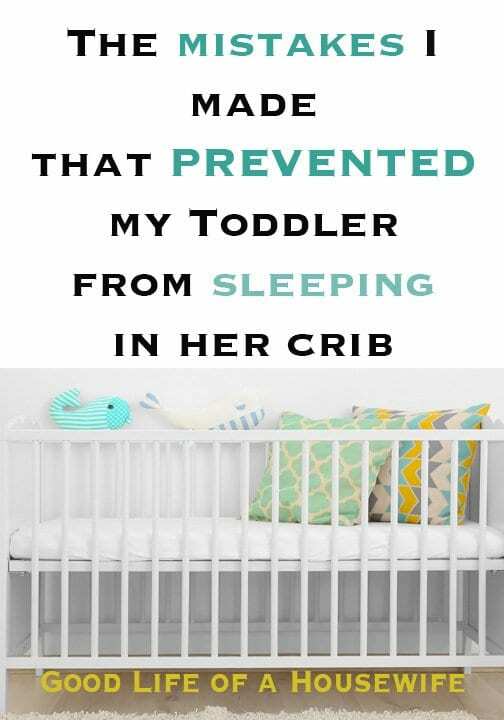 Out of desperation, I was constantly trying to find out “what worked.” I would try baby sleep videos, rocking her, a “loose” routine, etc. Things would sometimes work for the short term, but long term it was back to square one. Making her bedtime earlier then she was ready for. I wanted her bedtime to be at 7:00. I found during the first few weeks of sleep training her that she was consistently falling asleep closer to 8:00. Even though I was starting the bed time process at 6:00-6:30, she would not be ready until closer to 8. This meant more outbursts, and a harder time self-soothing. After a couple of days discovering 8 o’clock was her bodies natural time to get sleepy, we adjusted her bed time routine around this. Then over the next few weeks, we gradually pushed it back a few minutes. Eventually 7:00 O’clock was her new sleep time. Not correcting behaviors. When my daughter was teething, I would rub her ears to help relax her and make her feel more comfortable. As a way of showing affection, whenever my daughter is ready for bed, she will reach for my ear. She could not fall asleep unless she was grabbing my ear. Because I found this so sweet and absolutely adorable, I would let her. As she got older, this became a problem because if she woke up in the middle of the night, she couldn’t fall back asleep unless she grabbed my ear. This would happen frequently throughout the night. Helping her to self soothe, I would redirect her hand towards her own ear. This took time, but eventually she transitioned to rubbing her own ear at night and this helped her put herself back to sleep. Thinking that there is a fast fix to bedtime. It takes time, consistency, and patience. It might be a couple weeks before you see change. Just stick to it. Talking to her and telling her after quite time it is now bedtime. It’s amazing how smart and receptive children are. Offering a drink of water before bed. To make sure she is not thirsty, I always bring her sippy cup of water to quite time. She usually likes to a have a few drinks water before bedtime. Transitioning her to self sooth, i.e. rubbing her own ear, or snuggling with her blanket. Using an Air Purifier as a Sound Machine. Using my “library voice” during our bedtime routine. Especially, during quiet time. Cutting out sugar. Check out #2 on my resources below. I decided to test out the sugar theory. She doesn’t eat a lot of sugar to begin with. If she is going to get a treat it’s around lunch time or afternoon snack time. After a few weeks of sleep training and no sugar, she has been sleeping for about 12 hours straight(so it seems to work!). The bedroom should be comfortable and relaxing. Make sure to have black out curtains to block out daylight. The color of your child’s bedroom could be hindering proper sleep. Super bright or exciting colors could make it hard to wind down. Try for more calming and neutral tones. Whoever helps put your child to sleep has to be onboard and consistent with the new routine. A time/task schedule is helpful if multiple people help put your child down for bedtime. Make sure pajamas are comfortable and fit correctly. I always look for pajamas that are made of soft material. I avoid pajamas with bows or attachments that may be uncomfortable to lay on (child’s pose). Also avoid pajamas that are too tight and may cause the toes to curl under. This could lead to leg cramps. If your still struggling continue to work with your pediatrician. It may be beneficial to find a child sleep expert. I know we may have other issues that may come up, like when Libby’s molars start to come in, or when it’s time to transition to a big girl bed. But right now, these things seem to be working for our family. I hope they work for your family! 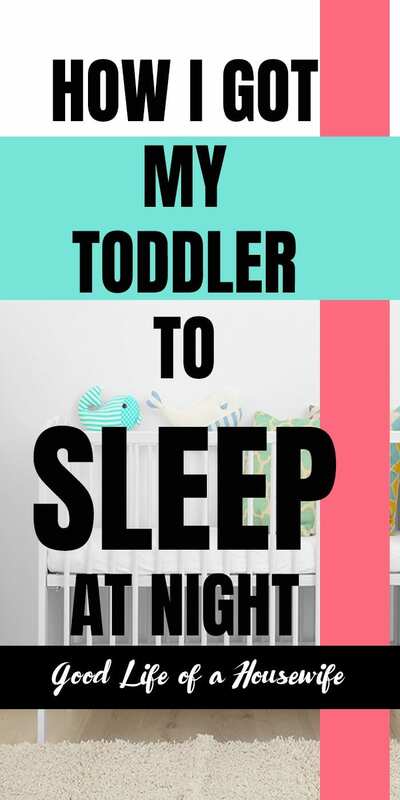 Here are some of my favorite articles from other Mom Bloggers that have overcome toddler sleep issues. 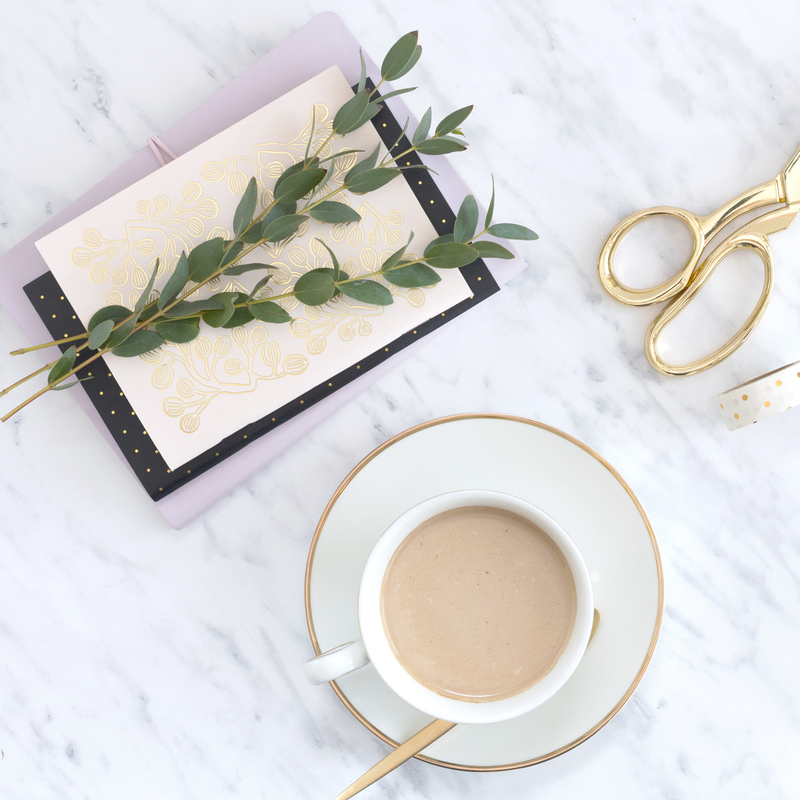 This post is a great resource for parents! We had a difficult time with my son as well, had to sleep train him at 1 year and now he’s three and it’s a whole new phase ?. But the best tip through all the different phases has been staying firm and calm. Ah yes, the dreaded sleep training… been through it with all 4 of mine and it’s never fun! But definitely WORTH IT! Good work staying firm with your approach- sounds like she was a TOUGH one! I wouldn’t last a day with a kid waking me up hourly all night ?